Super nice Bedford stone ranch in Darmstadt! 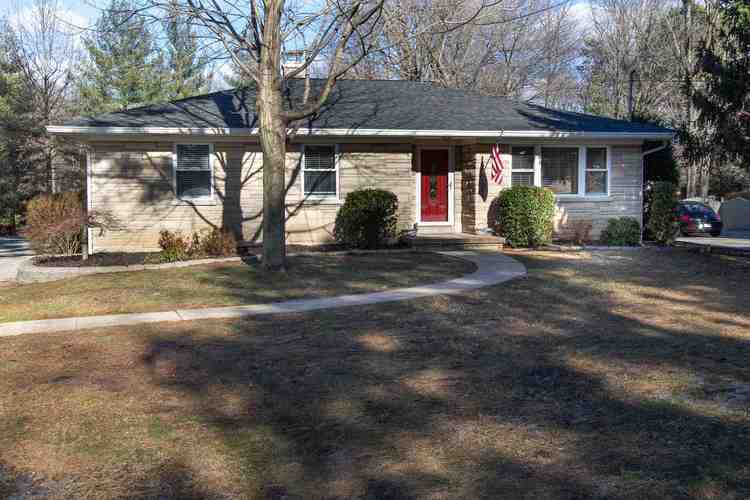 On just over a half acre sits this move-in ready 3 bedroom 2 full bath home with full basement. A Large Living room with hardwood floors opens to Dining room. Kitchen with all appliances include has lots of counter and cabinet space . 3 good sized bedrooms on the first floor as well as a full bath. The basement features a large family room plus an area already plumbed for a wet bar, a office with built-in cabinets, another full bath, huge laundry room and extra storage! Outside you will find a large lot with yard barn and lots of room for entertaining (hot tub pad and hook ups already in place). Large attached garage with high ceiling! Listing provided courtesy of FOLZ REALTORS.